BASEBALL CARD COLLECTING, like baseball itself, is a world governed by tidy metrics -- achievement, timing, scarcity. But every now and then, an aberration throws things into disarray. Rich Klein stumbled across one such glitch a few years ago when he heard a rumor about a card that was confounding hobbyists. 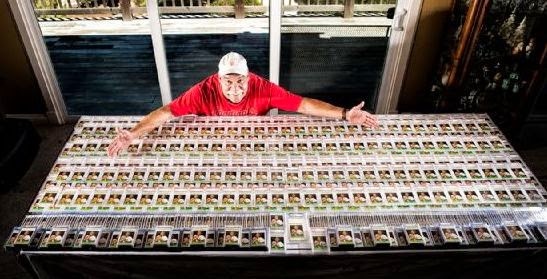 Klein, a mortgage servicer who moonlights as a collector, looked up the card­ -- the 1964 Topps Curt Flood, a middling, widely produced issue -- and saw that it was inexplicably overpriced. "I did a little research and thought, 'This is fascinating,'" he says.